Like millions of other people that morning, Mary Bowers was just making her routine commute last November before her world suddenly took an awful change for the worse. At a junction, just a stones throw from her office in the gentrified London docklands area of Wapping, the cyclist was crushed by a truck. Had Bowers not worked for one of most powerful news organisations in the country, her horrible accident would most likely have remained just another terrible statistic that die-hard cycling campaigners would be banging at continually locked doors with. Instead, her accident triggered a process that will hopefully catalyse change in cycling safety across the UK. While Bowers has far from recovered from her injuries, her colleagues at the Times have taken up the cause and made a sustained presentation of the dangers cyclist face on the road everyday and the need to address these. So far the effect has been promising. Campaign groups may have been making similar demands for years, but when a national newspaper starts banging a drum, the decision makers really sit up and listen. Now that the Cities Fit for Cycling campaign is over nine months in, the easy part of making a lot of noise, raising public awareness and getting politicians to nod in agreement is done. The bigger challenge comes in getting change implemented and sustaining pressure in the ever fickle worlds of politics and news media. To look back over how things have gone and where the campaign goes now, we sat down with Times journalist Kaya Burgess who has been working at the heart of the Times campaign. CW: We should probably start at the beginning. How and why was the campaign launched? KB: The background to the campaign is that a load of people at the paper are cyclists and cycle in from around East London and all over the place. The editor [James Harding] cycles in from west London. And a very good friend of mine, Mary Bowers, was cycling in on November 4 last year and right on the crossroads, virtually outside the office, there was this awful accident with a huge tipper lorry. She had life threatening injuries for most of that day. She pulled through that. But she’s still not really conscious. CW: I was going to ask how she was doing. KB: I think the technical definition is minimally conscious. They’re still hoping for progress but she’s not really awake or aware of stuff around her particularly — yet. I spoke to a lot of the bereaved families of the cyclists who’ve been killed up and around the country. Then in the week or so before the campaign launched […] we tried to approach bloggers and tweeters and charities like Sustrans and CTC and British Cycling and say: ‘this is what we’re thinking. What have we missed? CW: There’s lots of groups out there. How unified were those voices that came back to you in what they wanted to call for? KB: They were really good actually. We knew what the contentious issues were. Things like: should helmets be compulsory? So we didn’t put that in as part of the campaign because it felt kind of counter-productive. […] One of the the big things before launching the campaign was realising that the cycling world could be quite divisive. Sometimes it felt like it was the People’s front of Judea and the Judean People’s Front. So it was really great to approach a lot of the charities and lobbyists and bloggers in the run-up and say: ‘this is what we’re planning, this is the manifesto we’re going to put out. We’re sure you won’t agree with every word, but if we can all sing from the same hymn sheet a little bit that would be useful.’ We said if there are any points you want to pick up on and say you disagree with, then fine, that’s great, that’s helping us constructively. CW: Something you wrote when the campaign launched suggested that it almost takes a personal tragedy close to home to really get people engaged in a campaign. Have you found it difficult to get people interested? KB: No. People have been receptive. But I’ve been trying to keep track of the death toll this year and […] the difficulty is trying to write about that without it sounding like statistics and trying to bring it home to people who aren’t cyclists. One thing that can happen sometimes with cycle lobbying, if you preach to the converted overly, you’re not going to change anyone’s mind. We’re trying to come at it from a global point of view rather than pro-cyclist, anti-drivers. CW: When the campaign was launched, it was on the front page for two days and then there was a supplement at the weekend. Did you have to wait for a quiet news week to do that? Was it going on the front page whatever happened? KB: It was certainly going on the front page whatever happened. It was decided quite late to the supplement on the Saturday. That was because of the interest it generated. CW: The interest the campaign generated within the first two days of launching? KB: Yes. It just absolutely took off. On the first day we had something like 17,000 people sign up to the campaign and pledge support. Hundreds and hundreds were writing to their MPs. Lots of famous names were getting on board . So we realised it generated that debate. So it felt like a good time to put out a supplement on the Saturday. CW: Are you pleased with the momentum it’s gained politically? KB: It’s really encouraging. The first phase of the campaign was getting people verbally on board. 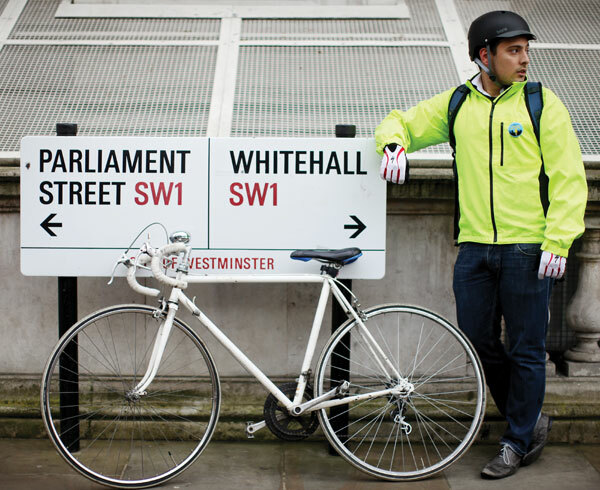 We’ve been working with the All Party Parliamentary Cycling Group. Ian Austin and Julian Huppert have been great in putting questions in PMQs [Prime Minister’s Questions] to David Cameron, getting the debate organised at Westminster Hall with unheard-of numbers of MPs attending. It was great that in that first phase that everyone from Boris Johnson, Ken Livingstone to Ed Milliband and David Cameron were saying that the campaign is great, cycling is great, which is brilliant. That was sort of warm words. The challenge was, is, then translating that into action. Hopefully it helped encourage things like the Transport Select Committee inquiry […] and smaller things have come out of it too. For example the Department for Transport will move the bureaucracy around installing Trixi rear view mirrors at junctions or making it easier to put in 20mph zones. They’ve handed out little bits of money. They gave £15m to TfL [Transport for London] in the budget and £15m for the rest of the entire country. So it’s sort of something but we’re aware that that’s a drop in the ocean. Part of the campaign calls for […]: ‘a small percentage of the transport budget dedicated to cycling’ and that hasn’t happened yet. So it’s a case of translating all of that [support] into some sort of actual tangible infrastructure on the roads. CW: The next step is implementation. KB: That’s the big thing really. The Department of Transport have said ‘maybe we’ll consider offering insurance incentives to lorry firms who kit their lorries out with the full range of equipment’. That’s all very well to say that. But it’s all about keeping the pressure on to say well, what are you going to do about it? Are you going to make any new laws that say HGV’s can’t travel in rush hour? All these sort of things are floated, but you have to pin them down. With party conference season coming up [this interview was conducted just before conference season started], they’re a big thing to target. With party conference season coming up, that’s a big thing to target. CW: How do you go about doing that? More stories? It’s more stories. There’s been a cycling story everyday this week in the paper. We’re trying to get that momentum back up after the Olympics and Paralympics – which did a lot for cycling in its own sense with the success of the Team GB. At each of the conferences we’ve also got fringe debates which either we’re chairing or have helped organise. You know that at party conference time politicians are reading the papers extremely keenly to see how they come across . So if that’s a time we can have big cycle coverage saying that not enough is being done then I think that’s quite important. CW: Is it usual for the Times to get itself so involved in campaigns? 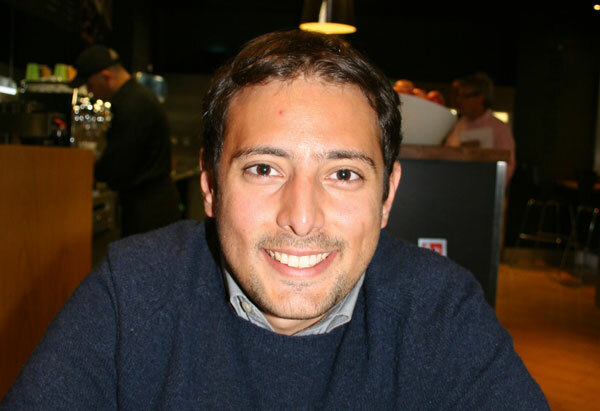 KB: Yeah, The Times, has had some great campaigns in the last few years [Burgess lists campaigns converning family law courts, adoption reform and Iranian death row inmate Sakineh Ashtiani as successful examples]. But usually one of the rules of newspaper campaigning is that you focus on something very narrow and very immediately achievable. 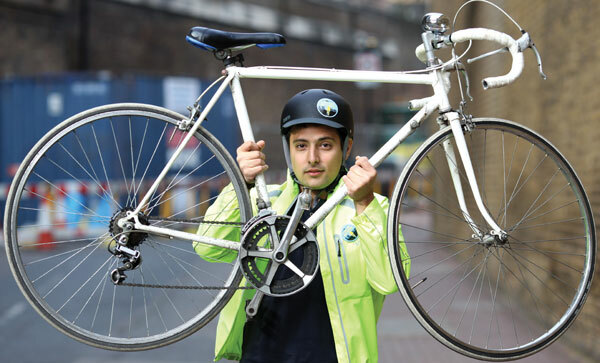 This campaign is different because it’s very broad, it’s got eight points to it, and its essentially asking for root and branch overhaul of attitudes towards cycling -whether that’s from the public or the way government approach investment. CW: The public perception of cyclists and their attitude towards us strikes me as even more difficult to change than policy. What we see on the road everyday is aggression and carelessness. How do we change these attitudes? KB: Yes, it’s astonishing. I’ve cycled around London and I cycled when I was at university as well. I’ve never seen myself as a dyed in the wool cyclist. It is just a way of getting around. But you really come to see the vitriol that’s directed at cyclists from motorists – [although] I don’t want to say that as a generalisation. It’s astonishing as to how disproportionate it is. Apart from drivers being jealous that they can’t zip through a stationary lane of traffic, I don’t quite understand the level of vitriol. The difficulty with trying to be diplomatic in a campaign is, for example, the number of drivers who go ‘damn cyclists, jumping red lights all the time’. Well, you think: clearly that isn’t the point. That’s not the cause of cycle fatalities. It’s almost never a red light jumper. I do think that it [red light jumping] is more of an issue though than cycle campaigners like to admit. It distracts focus from the fact that the solution to these problems is investment, infrastructure — it’s quite cheap infrastructure in some cases. CW: Obviously you’ve had a lot of feedback from readers. Is there anything that’s really surprised you? Any particularly fascinating observations? KB: There were a number of things. The degree of passion over the helmet debate is one thing which surprised me. I wear my helmet when I cycle, but there are occasions when I don’t. I kind of agree that they shouldn’t be compulsory, mainly because it distracts attention from the many other things that need doing. But the vitriol with which Bradley Wiggins was set upon by the cycle world for suggesting people should wear cycle helmets did surprise me. CW: One criticism of the Times campaign is that it’s called ‘Cities fit for cycling’. Why focus only on cities? KB: We called it ‘Cities fit for cycling’ as much because it had a good ring to it as anything I suppose. We have actually done quite a lot on the perils of rural roads. Rural A roads have bigger per kilometre casualty rate than city streets, so we try to make clear that urban cycling is where a lot of the casualties are happening but that’s not the sole focus. This is affecting everywhere from towns and villages to cities as well. CW: From all the things you’ve looked at with this campaign, what do you think are the most pressing solutions to be pursued? KB: There’s two sides -it defines politics- in that there is shortermism and longtermism. When you think about what happened in the Netherlands in the 60s and 70s, that’s when they said ‘lets have a sea change’, its taken until the last decade or so for Holland to be held up by everyone as this gold standard for cycling. People think ‘oh it’s a recession, what can we do?’ and that the only solution is to spend billions on tearing up every road and junction in Britain and turning it into a velodrome quality cycling facility which obviously isn’t going to happen whatever the climate. But the first thing to say is a very simple and essentially free way to start now is to write into planning law something that says if you are building a new section of road, a new junction, a new flyover, a new traffic light array, whatever, you have to consider how a cyclist is going to navigate this junction in a safe way. If that’s done from the very inception of these projects, it doesn’t cost very much. It doesn’t cost much to change legislation to make sure that cyclists are protected and the burden of responsibility lies with the larger vehicle. These things are basically free. Then there is the other side. This does need investment. You do need to go back and start retro fitting things. There is a degree to which the idea of having cycle paths like in Copenhagen where they will be a raised path alongside a railway or alongside a canal sounds futuristic and crazy but it actually isn’t. The benefit health-wise and congestion wise and pollution-wise is so incredibly obvious. One of our aims in the campaign going forward is that it’s not just a Department for Transport issue. It’s a Department of Health issue, it’s a Ministry of Justice issue, a Home Office of issue. This article was first published in the October 11 issue of Cycling Weekly. You can also read our magazines on Zinio and download from the Apple store.